Walk-in constant temperature and humidity chamber are suitable for large part and machinery undergone low to high, high to low temperature changing test, which can change the room size according to user's need. 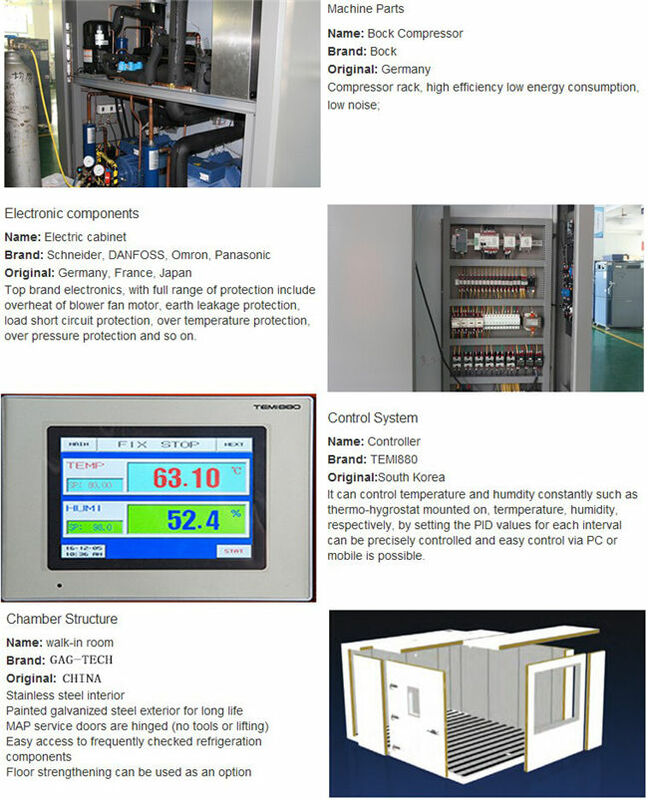 It applies to Patchwork type chamber, with the feature of nice looking outlook, scientific design for pipe and duct, all in one touch screen control panel and a programmable logic controller can satisfy most needs of all kinds of clients. Outer: galvanized copper plate with powder coating. 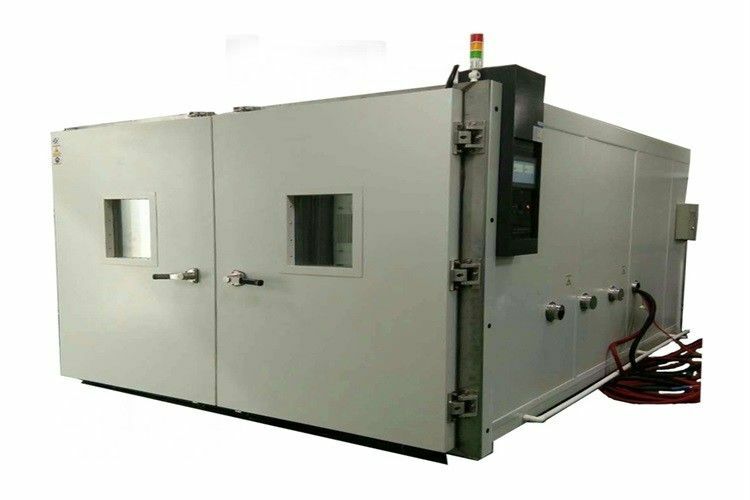 service Welcome to Non-standard, Special requirements, OEM/ODM orders. 2. RS-232/RS-485/RJ 45/Ethernet/USB communication interface. 5. 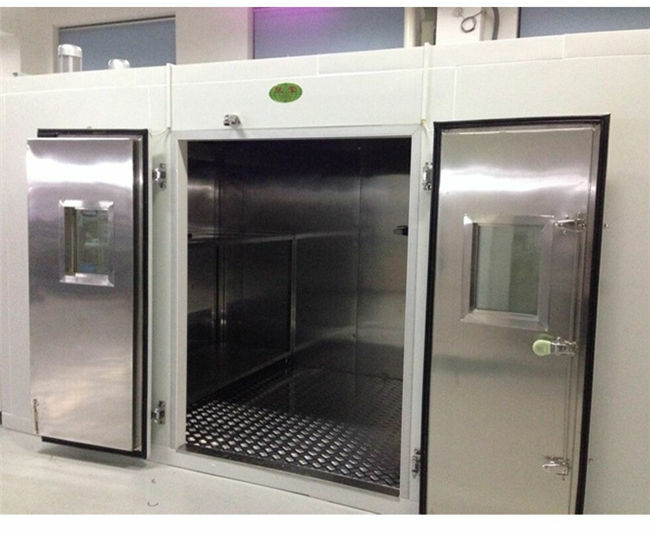 SUS#304 stainless steel plate inner chamber, stainless steel plate with Powder coated exterior chamber. 7. PU&fiberglass wool insulation is to make the temperature stable. 8. Large glass observation window with lamp, users can see the sample test effects directly.